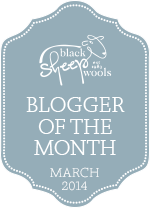 In my last article I have shown you how to modify a neckline. 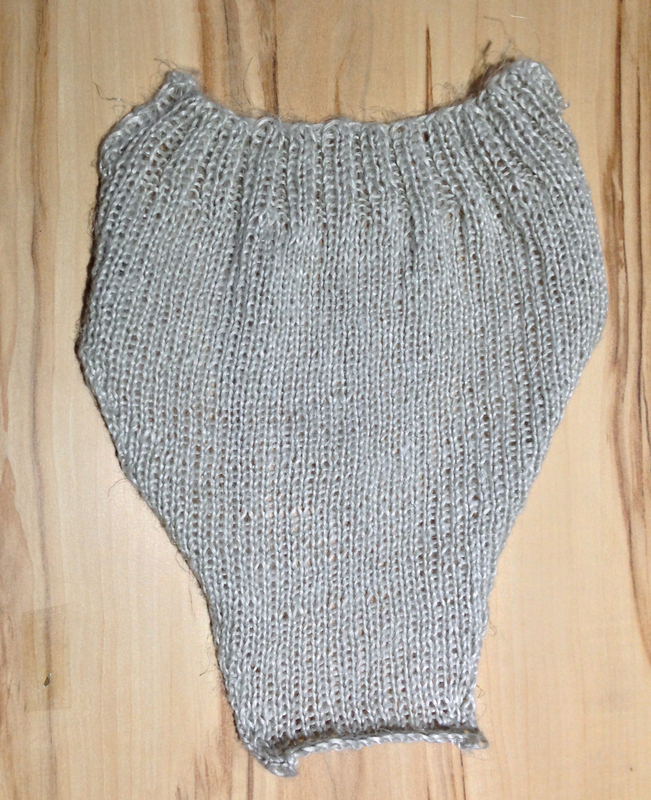 Today I want to talk a bit about the progress of this knitting and of the yarn used for this garment. Kristen and I using Rowan Pure Linen for this KAL² and I have to say, I really love this yarn. At the first look it not looking very attractive, because it looks more like a stiff rope than a smooth yarn you wanted to wear next your skin. But soon after you have casted on this yarn and knit some rows, you will love it. 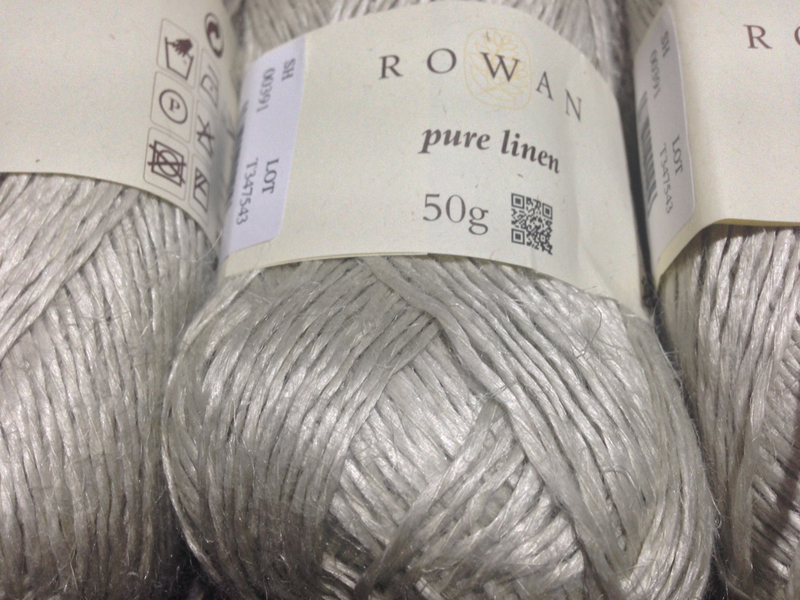 Rowan Pure Linen completely changes the look and feel, soon you have it on your knitting pins. It turns on a smooth, drapy garment on your needles. 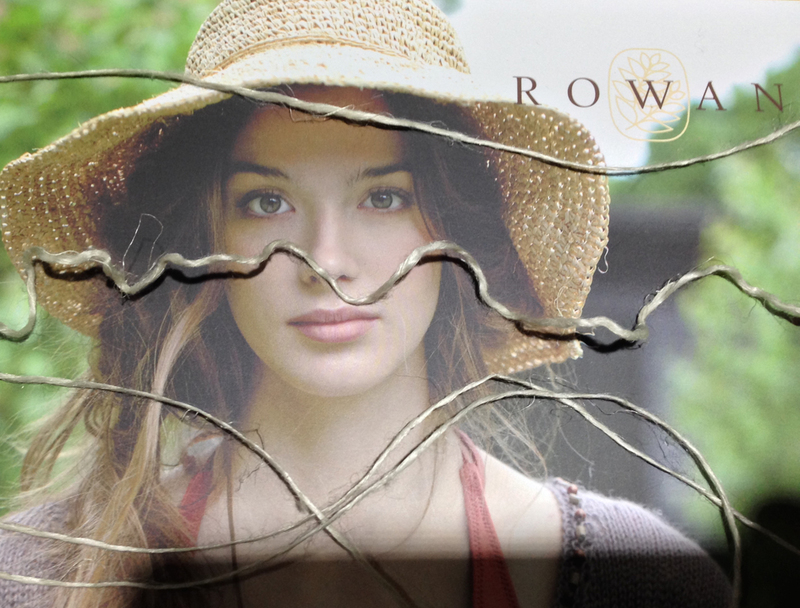 At the picture above you Rowan Pure Linen like it is on the skein (1 and 3 row) and between this two “unknitted” threads you see an unraveled thread. See how different it looks. The yarn gets soft and a little bit fuzzy. You see this fuzzy appearance also in the next picture. It is a picture of one sleeve I knitted for Trinity. Have a closer look at the rib! 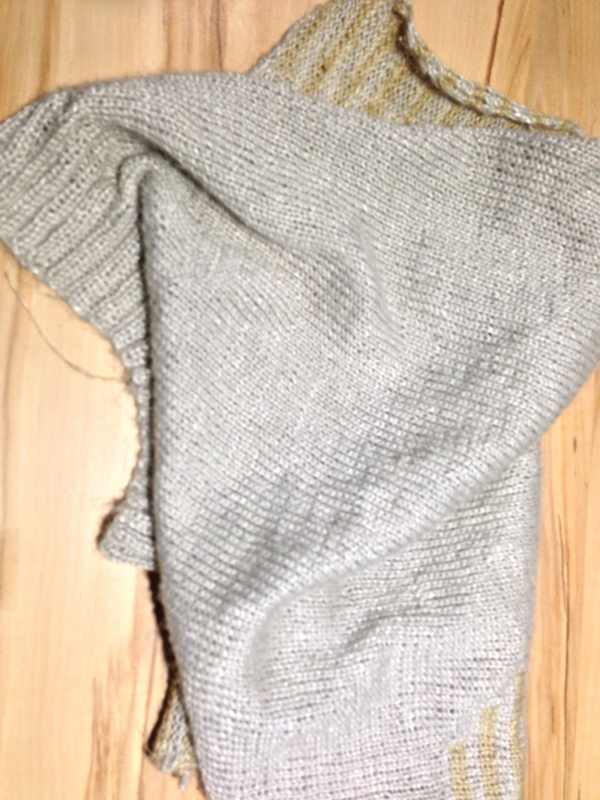 I was not able to do a picture which shows you how drapy the knitted garment really is. The fabric is heavy and is smooth to the touch. When you feel it, you know it is Pure Linen. Do I spy a few little stripes up at the top?